Ali Calderwood and Daniela Broder create emotionally stirring music-soundscapes inspired by Nature, ancient wisdom and the celestial energies merging with humanity in these times. Deeply influenced through these connections, their music soothes, heals and inspires the light of consciousness through its transmission of sacredness and healing sounds. Ali and Daniela have both spent a number of years living in different parts of the UK and travelling throughout the world with their music. While living with indigenous peoples of North and South America, they have spent time with shamans, healers and tribal elders learning their ancient ways, ceremonies and use of sacred sound. They continue to work with the sacred plant teachers and traditional indigenous healing practices. 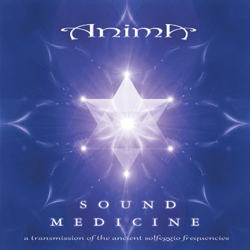 Anima have also spent extensive time working with the energies of the ancient sacred sites and standing stones around of the British Isles, where they connected deeply with Nature and the ancestry of these lands. This has become a huge influence in their lives today and the essence of this connection, can be felt through the music they create. The music is now somewhere between Enya and Lorena Mckennit, with a bit of Joni Mitchell thrown in. Then you add a real heart energy and beauty and some very spiritual lyrics that speak from the soul to the soul. Lucinda has a unique ability to articulate such deep emotions through her writing and singing. She is able to transport the listener to a totally different space where self reflection and transformation can take place. 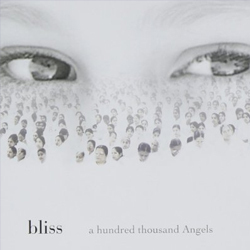 CDs available include '100,000 Angels', 'The Mirror', 'You' and 'Both Sides'. An inspired musician, arranger and performer. 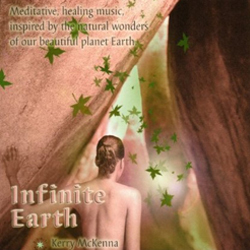 Kerry's music is designed to take you on a beautiful healing journey of creative visualisation and relaxation. 'The Elements Collection' features soundscapes created to help you relax and use your imagination in order to inspire your creativity and totally relax you. Sit back and allow the music to take you on a beautiful journey under water to meet the Ocean Angels who have healing powers. You will be travelling in your own unique glass sphere totally protected and safe. Allow yourself to be transported to a beautiful, calm inner world with tracks like 'Underwater City', 'Infinite Earth', 'Eternal Flam' and 'Angel Wings'. 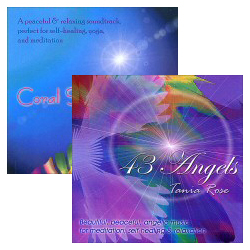 'Coral Sea Dreaming' is a beautiful ambient music CD for relaxation, healing and meditation. There are no gaps between songs, no stops and starts, just one long 47 minute peaceful flowing journey. It is stunningly harmonious and perfectly balanced. '43 Angels' is the follow up to 'Coral Sea Dreaming'. 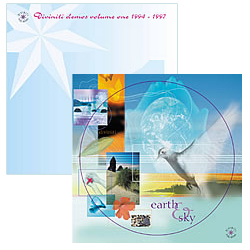 It is a beautiful ambient music CD is perfect for relaxation, meditation, massage, yoga and healing. This debut album by Shine is uplifting and inspirational. Soothing free-floating vocals angelically inspired, over layered sounds and mantras. The benefits of this album can be experienced through background listening or a more focussed meditative listening, or whilst practicing yoga or pilates. Tracks include: 'Relax And Let Go', 'Open Your Heart', 'I am The Stars', and the beautiful epic track - 'Going Home'. Shine draw influences from Electronic music styles including ambient, down tempo and Balearic rhythms & melodies entwined with strong vocal hooks. There are seven tracks conveying feelings of peace and positivity. Many of the tracks on this CD/MP3 are recorded at the rate of a resting heartbeat to enhance deep feelings of relaxation. 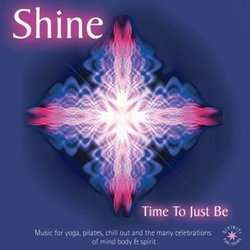 This album is fabulous for yoga, pilates and the many celebrations of mind body & spirit. Please click here for more information regarding Glenn's recommendations for relaxation and meditation CDs.